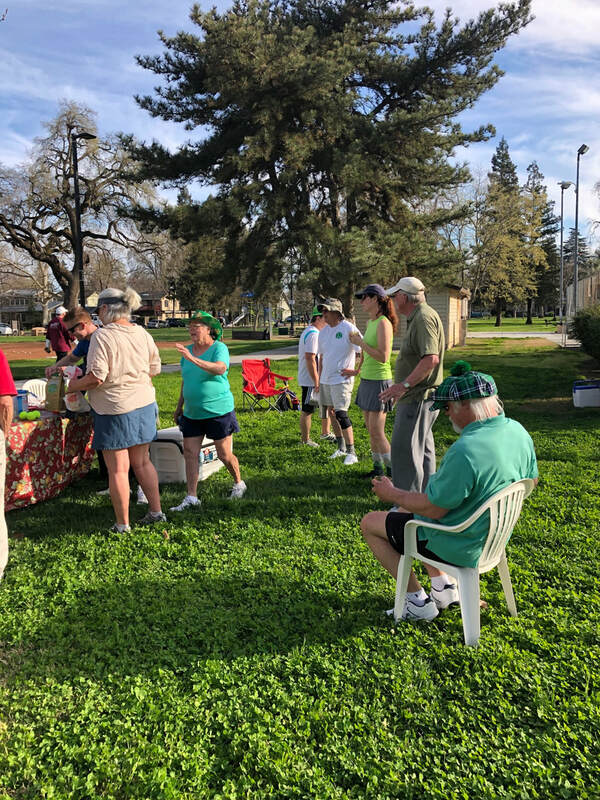 The Luck of the Irish was with the WTC providing a perfect day for the St. Patrick’s Day Tennis Social. The players took to the courts for mixed doubles and men’s single to see who would wear the green hat at the end of the afternoon. On the Women’s side Marjie McWilliams and Grace Vaughn tied for the most games won, just a few games ahead of Stephanie Miller and Kitty Schlosser. The Men’s side had stiff competition with Pat Garrison (who complained mightily about being ‘punished’ by having to play singles) just edged out Dave Dobson by one game. 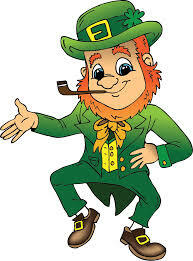 Dave does get the “Iron Leprechan” award for playing two sets of singles (and helping with set up and clean up!). Lee Shebloski sported an outrageous green plaid beret at the start of the match – hoping to trade it in for the more elegant green bowler provided to the winner on the men’s side. Steve McWilliams, whose tennis game is experiencing a resurgence, also put up a good fight and Mike Mott appeared like a pot of gold at the end of the WTC rainbow to strike at the yellow fuzzy. Andrew was also able to play and may have been the only person at the event of Irish descent! 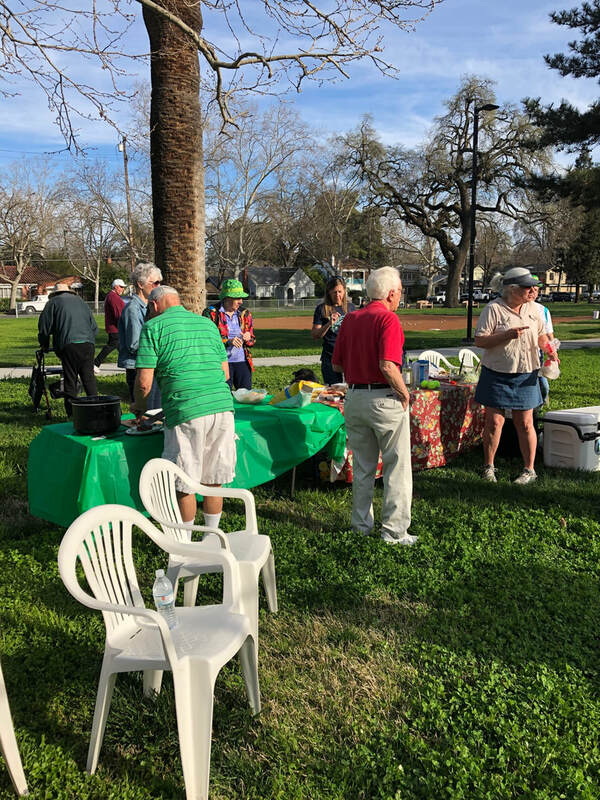 The corned beef and cabbage potluck afterward was a treat for everyone and Si and Wendy joined us for the feast. Floyd and Elaine made it out to enjoy the afternoon sunshine, friends and great tennis played on the courts! Thanks to Board members Margo, Stephanie, Marjie, Dave and Monty who attended the social and helped make it a success.